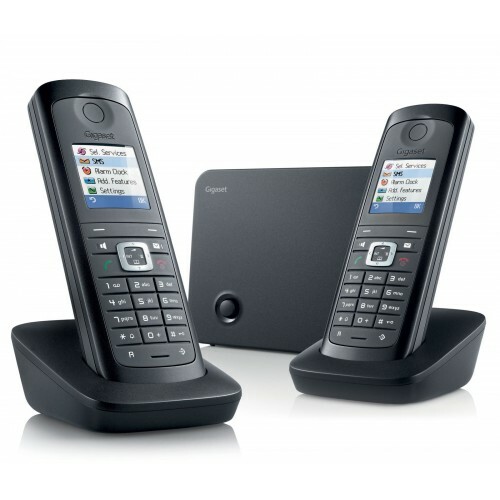 Enjoy sophisticated DECT features and outstanding call quality in any environment, with this award winning duo set of robust cordless phones from Gigaset. Boasting a separate base with integrated answer machine, and two durable, highly-resistant handsets, the Gigaset E495 Twin is the ideal set if you are looking for a phone capable of withstanding tough every-day use. 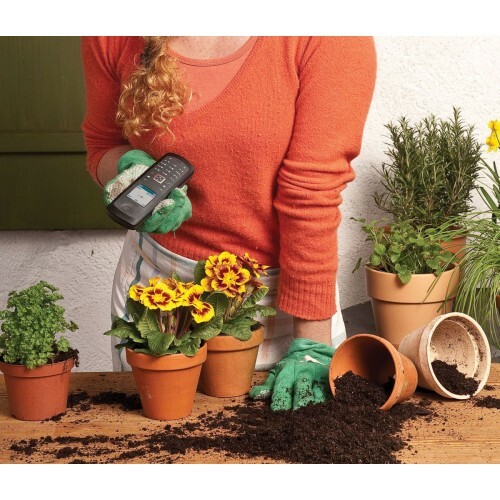 The durable handsets of the Gigaset E495 have been manufactured to the highest of standards, and come splash-proof in addition to resistance to shocks and dust. 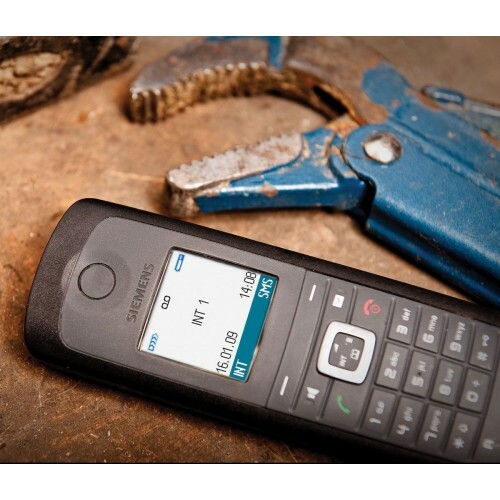 A full colour display, and intuitive menus offer ease of use; and the handsets further benefit from a one-touch speakerphone and incoming call vibrate making the E495 an ideal cordless phone for noisier environments. This robust set of cordless phones from Gigaset has more to offer than highly resistant handset. 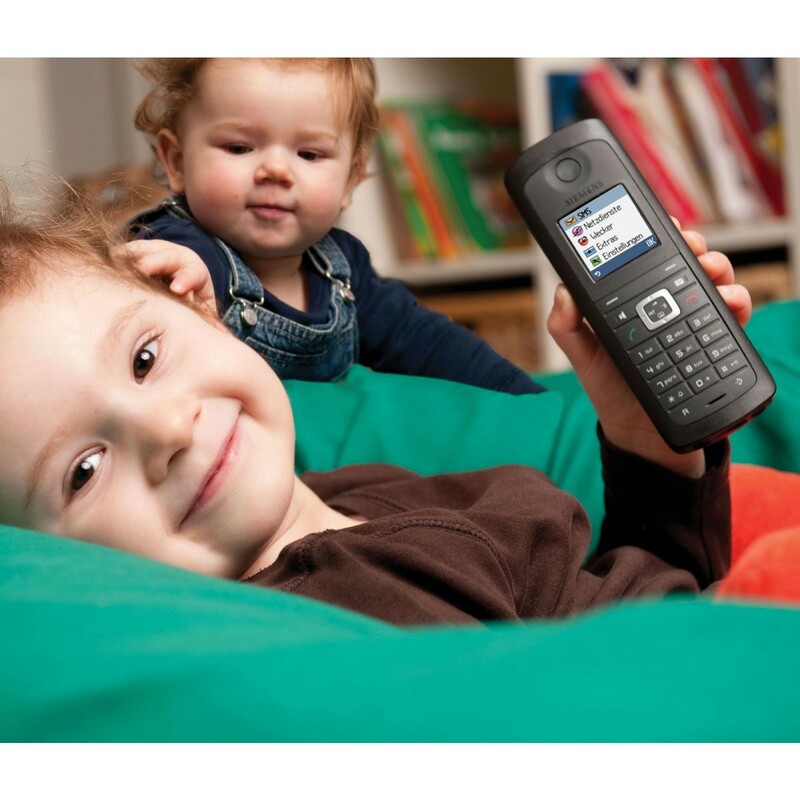 The base boasts a reliable in-built answering machine capable of storing up to 45 minutes of messages, which can be accessed from both handsets. The E495 is also Caller ID enabled so you can see the number (or name if stored in the phonebook, which has space for 150 entries) of incoming callers, and provides details on your most recent dialled, received, and missed calls. 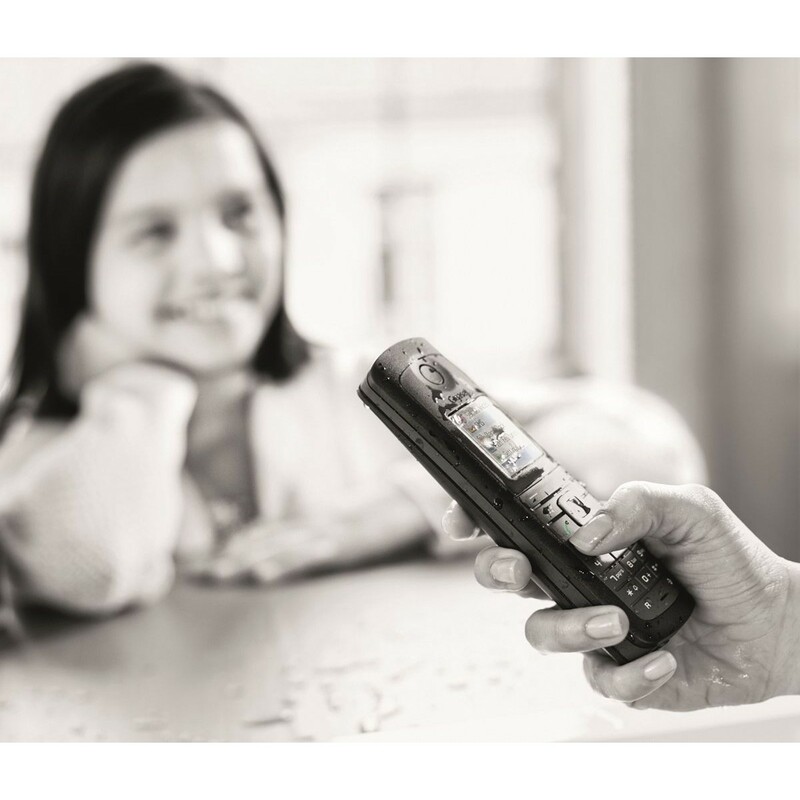 Internal calls can be placed between the two handsets should you need to use the E495 as an intercom, and call management is made easier with the facility to transfer calls between handsets, and initiate a conference with both handsets and an external line. 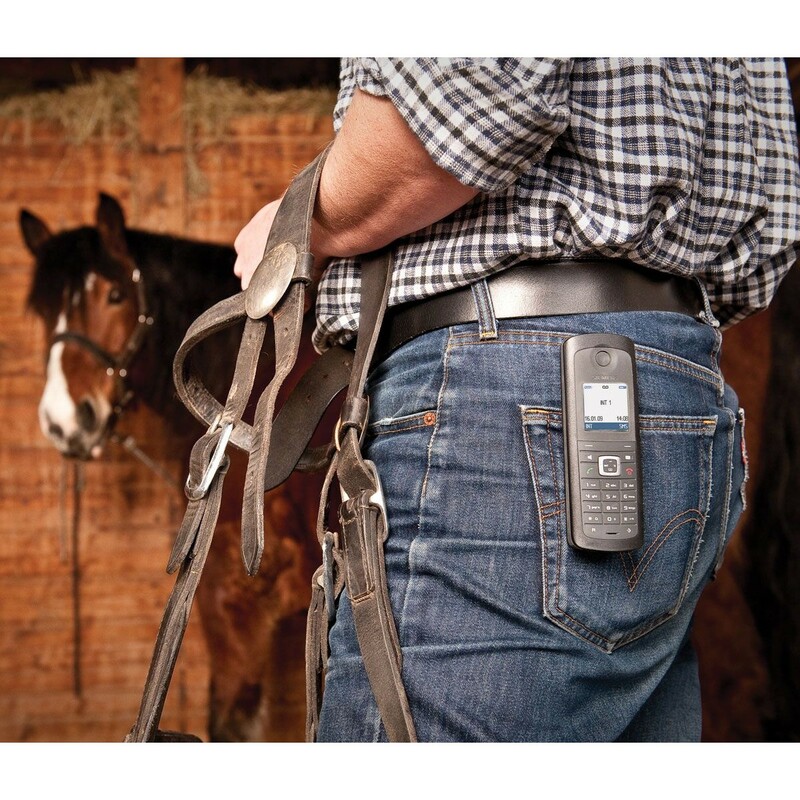 With each handset featuring its own charging cradle separate from the base, you are not constrained to having one by the phone line and can keep both handsets in the most desirable location. 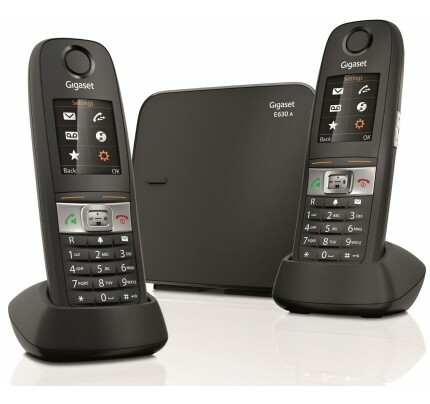 And with a reliable range of up to 50 metres indoors (and up to 300 outdoors) in addition to a dependable talk-time, the Gigaset E495 offers you the flexibility to take calls where it suits you best, and for however long you need. 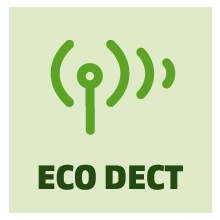 Furthermore, with the energy-saving ECO mode, you can reduce the transmitting power of the handsets when not in use. Some reviewers have noted that the hands-free mode is "not very loud". However having a microphone and loudspeaker in close proximity without inducing "howlround" is difficult and the quality (low distortion) from the in-built speaker is good.